I published a new ebook (4 Wire Flower Projects) yesterday. 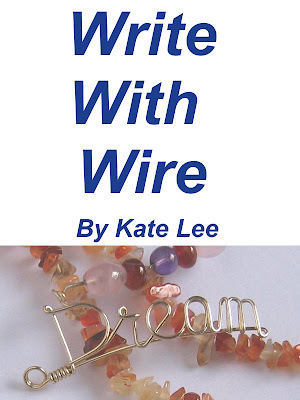 And I would like to provide it as a free bonus for people who purchase ebook Write With Wire limited in June. You can claim your free bonus by email or sign up newsletter in the book or leave a comment below after your purchase. I will send it by email as soon as possible.